Potentially unpopular opinion: I really hate premium beauty advent calendars. It's not that I disagree with them per se, I'm just really not comfortable with the idea of spending the cost of a Christmas gift, or in some cases, the entire Christmas budget on an additional thing. It just feels like another commercialised, over-indulgent and unnecessary thing to add to already bulging festive Christmas to-do lists and strained purse strings. I dunno, maybe it just me. So for my advent calendar this year, well for the twelve days preceding Christmas, I've decided to write a letter or card everyday and post it to a friend or family member. 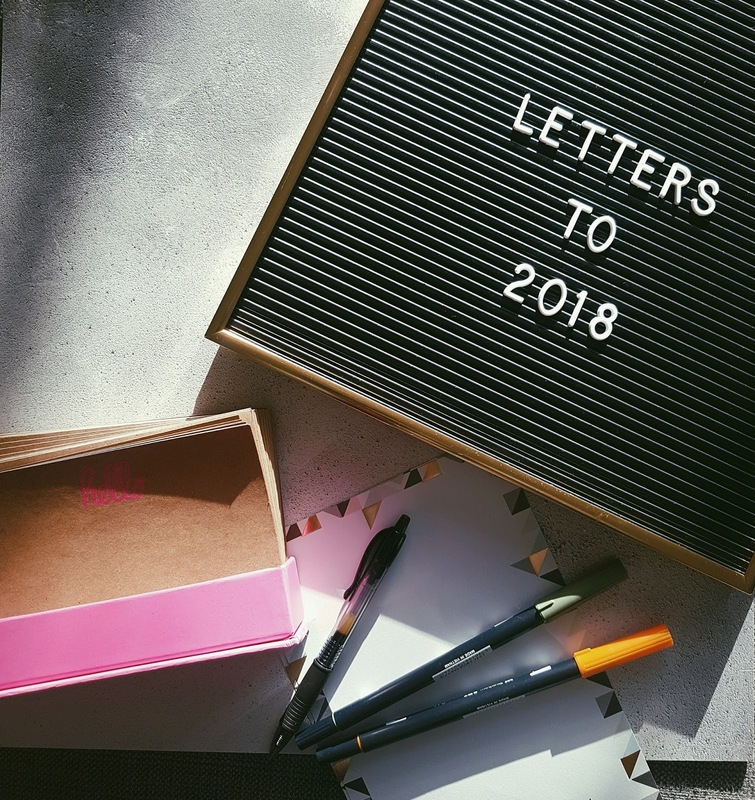 By now, you should know I love a pithy project title, so I'm calling this one: Letters to 2018. Given Christmas and year end are typical points for down time and reflection, I want to look back and celebrate memories with that person from the past year, maybe even things they've forgotten or things they did that they didn't even know had an impact on me. Essentially, it will just be one long piece of "do you know how awesome you are?" prose. And why? Because our memories play tricks on us. Our negative biases will always have us looking at what we did wrong, bad decisions and who we aren't, instead of celebrating everything that we are. So step forward me as an intermediary to provide a timely reminder. And then, even though I'm a firm believer in the New Now, rather than New Year, I've chosen a few choice, positive and uplifting words for them to hopefully keep in mind as we move into 2018. So, here's to a positive start to the New Year. Oh, and look out for a special edition dedicated to all my internet friends!